The CDL Manual, also known as the CDL Handbook, is the training manual you will study in order to pass the written test to obtain your commercial learner's permit. The commercial learner's permit allows you to drive a tractor trailer as long as you have a licensed CDL holder in the vehicle with you. The CDL manual also contains various sections of required materials for obtaining your CDL endorsements, or CDL certifications, some of which are required for driving a commercial vehicle, others are optional. 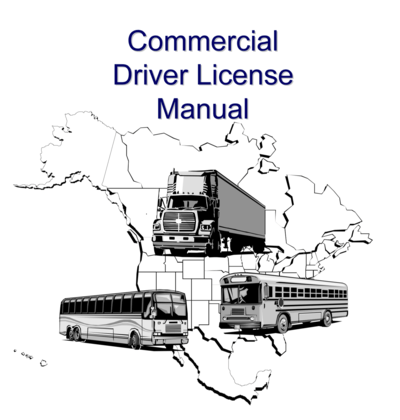 You can also pick up a paper copy of the CDL manual from your state's DMV office. Trying to read and memorize the entire CDL handbook can be a long, boring, difficult process so we've created a much better way of studying the CDL manual, and it's free! 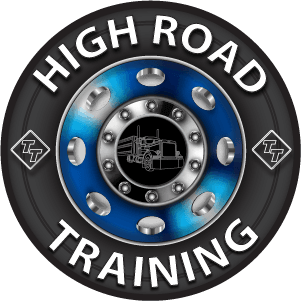 Our High Road Online CDL Training Program is a free program we've built to make it so much easier and more enjoyable to prepare for getting your CDL permit. The CDL manual is built right into our CDL training program but we've broken it down into small sections with multiple choice questions after each section. After studying the above section of the CDL manual you will be ready to take the written exam for the Commercial Learner's Permit (CLP) at your local DMV office. At this point you should begin studying for your CDL endorsements, which are optional, but we highly recommend. The more endorsements you have the more job opportunities you will have. Each endorsement is a relatively easy written exam, and for most endorsements you'll then have that endorsement for life. The exception is the Hazardous Materials Endorsement which requires a retest every two years. It also requires a Federal background check and fingerprinting for national security reasons. Once you've studied these sections you will be ready to test for your CDL endorsements at your local DMV office. Our High Road Training Program has the CDL manual built right in but it breaks the CDL manual down into smaller chunks with multiple choice questions at the end of each section. This is by far the best way to learn the materials in the CDL manual. Give this a try! You'll learn so much better and it's way more enjoyable. After you've studied our High Road Training Program you can use our CDL practice tests to check your progress. Anytime you have a few minutes our practice tests are a great way to reinforce what you've already learned. If you want to use our CDL practice tests while you're offline then our CDL Practice Test Android App is exactly what you need. It contains all of the questions you'll find in our standard practice tests but packaged neatly for offline consumption. Our pre-trip inspection study guide has everything you need to prepare for your pre-trip inspection test, which is part of obtaining your CDL license. We have all sorts of training materials including free PDF downloads, pre-trip inspection checklists, pre-trip inspection videos, and photos of the parts you'll be inspecting.